During the summer, when I’m not out lugging my camera gear around taking photos, I can usually be found on the hunt for mountainous waterholes to go swimming in. 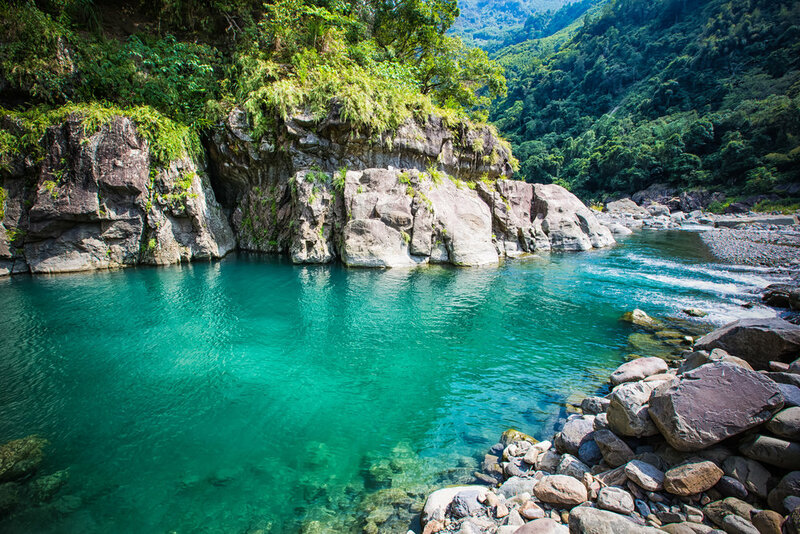 Over my years of living in Taiwan I’ve found that I’ve started to enjoy my time swimming in waterfalls, rivers and mountain streams much more than any of Taiwan’s various beaches. I suppose I much prefer the freedom and solitude of the mountains as well as the cold fresh water rather than the party almost nightclub-like atmosphere you get at beaches in Taiwan where swimming anywhere deeper than your ankles is highly regulated and sometimes frowned upon. I have quite a few places that I enjoy visiting and are close enough to where I live that they have become go-to swimming spots when I want to get out to enjoy a bit of nature and a swim. The area I live in has a couple of waterfalls and rivers that I frequent but the mountains of neighbouring Hsinchu county has quite a few locations that I enjoy visiting when I have a bit of time. Sometimes when I hear about a location I can never actually be too sure about how viable it is for swimming, but thanks to the Follow Xiaofei blog I was actually quite confident that a visit to the so-called “Celestial Lake” (仙湖) would be one that would offer a pretty awesome swimming experience and also one that would be great for photos as well. When I made plans to go to the lake with friends, I started mapping out the roads and checking photos of the lake the night before we planned to go. I planned to not only visit the lake for a swim but also go to a nearby waterfall to take some photos as well. 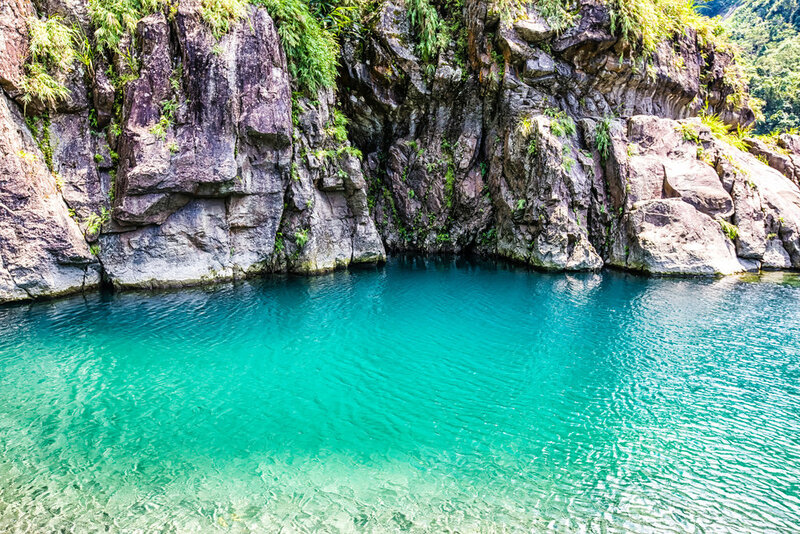 One of the things I noticed when I was checking out photos of the place is how the crystal clear jade-coloured water looked like what I saw when I visited Hualien’s beautiful Mugumuyu (慕谷慕魚) which got me really excited to visit the lake. When we arrived and crossed the river, our first glance at the lake didn’t disappoint as it seemed as if the water was so crystal-clear that you could see the bottom at even the deepest points. 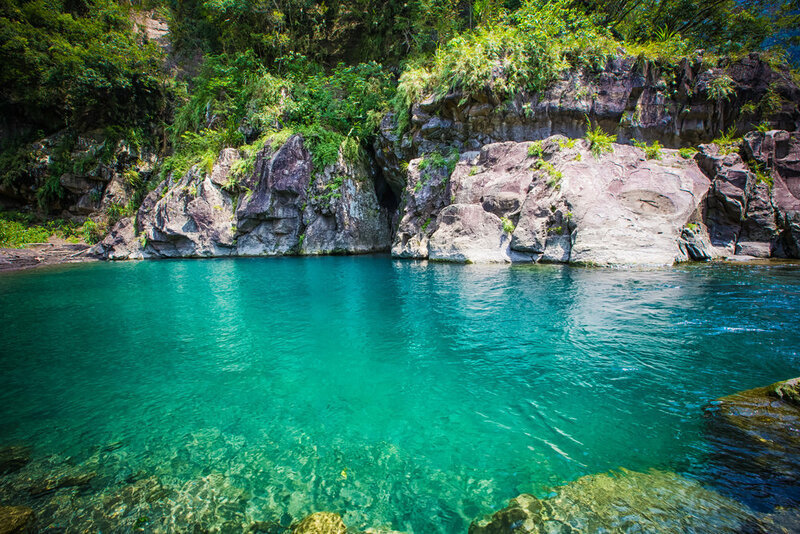 The jade-green colour of the water itself indicated that not only was the water clean but would also be great for swimming, so after taking a few photos, we jumped right in and swam for an hour or two. The water in the lake was a lot warmer than what you’d usually find in a waterfall or river stream and is actually quite deep meaning that you can safely do a bit of cliff jumping from the cliffs beside the lake - which I did quite a few times! Considering that it took me just over an hour to arrive at this beautiful lake, I have added it to my list of go-to places that I’ll visit several times over the next few summers for whenever the weather gets so unbearable that the only alternative is to jump in a cold lake! If you need more information about how to get to the lake, check out Follow Xiao-Fei’s post with his excellent map that will help get you there! Getting to the lake is quite easy if you have your own method of transportation. 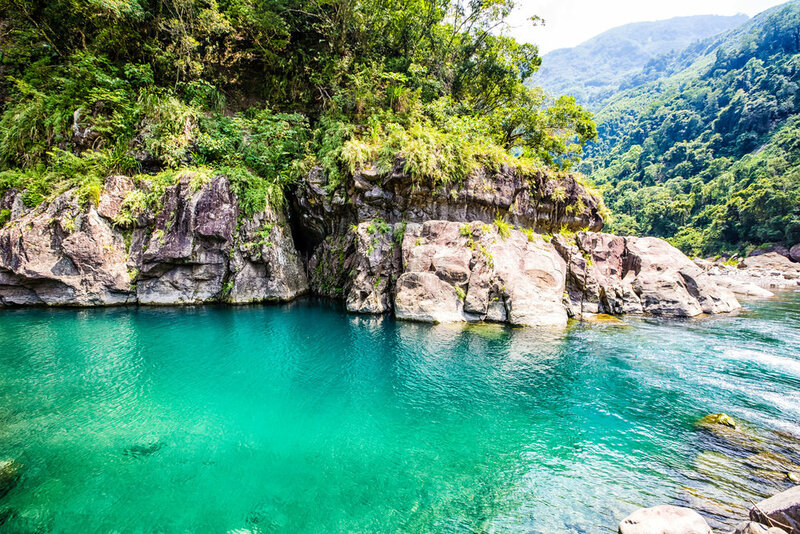 There are possibly buses that will take you to Wufeng (五峰) from either Hsinchu or Jhudong but once you arrive in the beautiful old Indigenous villlage you’ll have to hike down the hill to the river, cross the bridge and then keep hiking to the “Celestial Lake Campground” (仙湖露營區) that is closest to the lake.